A boy name Kyo is saved from the precipice of death by Bamboo, a vampire born of the tall grasses. They start an enjoyable, yet strange shared life together, Kyo and the gentle Bamboo. But for Bamboo, communication with a human being is the greatest sin. Kazuki Sakuraba was born in 1971. She began publishing while still in college. Her early Gosick light novels were best sellers and translated into English, and her adult fiction is also popular and critically acclaimed. Red Girls won the Mystery Writers of Japan Award in 2007 and was translated into English in 2015. Watashi no otoko, a suspense novel about an incestuous relationship, won the Naoki Prize for popular fiction in 2008. 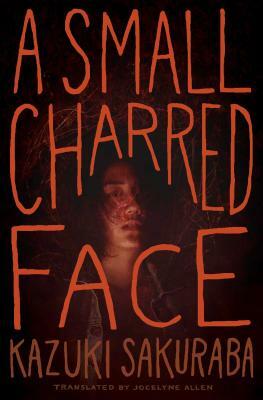 "Though horror in a sense, this is mostly a thoughtful coming-of-age tale about familial love and life with all of its blessings and hardships, related in an authentic voice. A compelling tale perfect for those craving something other than the usual fairy-tale retellings." "[A Small Charred Face] bares the truths of life through both violence and beauty, imparting lessons one won’t soon forget. It’s a definite must-read for fans of dark, emotional tales." "Multiple times I was brought to tears while reading because Sakuraba so eloquently conveyed the depth of love these characters felt for life and each other. It is one of the most beautiful horror novels I've had the pleasure of reading."